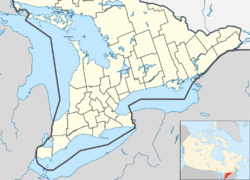 Wingham (2016 census population 2,934) is a community located in the municipality of North Huron, Ontario, Canada, which is located in Huron County. 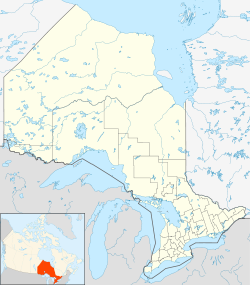 Wingham became part of North Huron in 2001 when the Ontario government imposed amalgamation on the former township of East Wawanosh, the village of Blyth, and the town of Wingham. Wingham is located at the intersection of County Roads 4 and 86. Most of Wingham is located between County Road 86 to the south and the Maitland River to the north. In 1854, the original survey for Wingham was conducted, with 1,000 acres dedicated to the community north of what is now Highway 86 and Highway 4. The town was incorporated in 1879. Wingham's town hall was constructed and opened in 1890. The community's post office was built across the street and opened in 1907. Multiple-unit business buildings were constructed from 1878 to 1892, lining the town's main street. The community's hospital, serving Wingham and surrounding areas, dates back to 1906. Wingham has a number of manufacturing businesses, and a variety of retail and service businesses. Wingham supports two grocery stores, and a main street with retail stores and restaurants. The town has branches of the Bank of Montreal, CIBC, and TD Canada Trust banks, and a branch of Libro Financial Group credit union. Wescast Industries, three manufacturing facilities for this auto-part producer. BI-AX International produces plastic film for use in food packaging and industry. Royal Homes is a manufacturer of pre-fabricated homes. Britespan Building Systems Inc. is a manufacturer of fabric covered steel structure buildings. Wingham was one of the first towns in Ontario to have a community radio station, with W.T. Cruickshank founding CKNX Broadcasting Ltd in 1926. Wingham has three radio stations: CKNX 920, CKNX-FM 101.7, and Classic Rock 94.5, all owned by Blackburn Radio. There is also a television station CKNX channel 8, owned by CTVglobemedia. It rebroadcasts the master signal of CFPL-TV from London, with the exception of local advertising. CKNX became a rebroadcaster of CFPL London on August 31, 2009. On April 9, 2007, it was announced that Rogers Communications has filed with the Canadian Radio-television and Telecommunications Commission to purchase all of the A-Channel stations, including CFPL, CKNX, CKX-TV, Access Alberta and several cable channels being put up for sale by CHUM Limited in the wake of CTVglobemedia's pending acquisition of the CHUM group. CTV said it would not renew the licence for CKNX-TV in Wingham upon expiration at the end of August 2009. On May 1, 2009, Shaw Communications offered to buy the station for $1 from CTV (along with other underperforming stations in Brandon and Windsor), but scuttled the deal two months later. As of July 2011[update], the station remains on the air. However, the station's future remains in doubt, as in 2016, owner Bell Media filed a proposal with the CRTC to shut down 40 of its television transmitters nationwide - including CKNX-TV - due to failure to generate revenue. Wingham was also served by a CBC English TV station (Channel 45), which retransmitted CBLT-TV Toronto via CBLN-TV London. This transmitter, along with CBC/Radio-Canada's other remaining analog transmitters, was shut down permanently on July 31, 2012, leaving over-the-air viewers in the area with no free CBC television service. F. E. Madill Secondary School is located in Wingham. Approximately 800 students from grades 7-12 attend; most are bused in from the surrounding area. Madill is known for its Senior Boys' Basketball team and its Track and Field team. Maitland River Elementary School is located in Wingham beside F.E. Madill Secondary School. Approximately 400-500 students attend from Junior Kindergarten to Grade 6. Sacred Heart School is a Catholic elementary school located in the town's east end. The former Wingham Public School educated thousands of children on John Street but was closed in 2013. Wingham is located to the north of County Road 86 which connects to Kitchener-Waterloo to the east. The main thoroughfare is County Road 4, called Josephine Street within Wingham, which connects to London, Ontario to the south. Wingham/Richard W. LeVan Aerodrome is a general aviation airport to the southeast of Wingham with fuel services and private hangars. Wingham was served by scheduled bus service to London, Owen Sound, and Stratford with 2013, when provider Aboutown entered receivership. The North Huron Museum provides an overview of the history of the Township of North Huron beginning in the Paleolithic era and continuing into modern times. George Agnew Reid - Artist, raised near Wingham. William Aberhart - Premier of Alberta, 1935-1943. Taught public school in Wingham. Murray Elston - Ontario MPP, 1981-1994. Born in Wingham. George Johnston - Alberta MLA and Speaker, 1921-1936. Born in Wingham. Robert Mooney - Manitoba MLA, 1922-1953. Born in Wingham. George Spotton - MP, 1927-1935. Wingham businessman. Robert Weir - MP, Minister of Agriculture, 1930-. Born in Wingham. ^ a b c d e f g Eaton, E.S. (1984). McLean, Andrew Y. (ed.). 1984 Huron County Historical Atlas. Goderich, Ontario: The Corporation of the County of Huron. pp. 90–91. ISBN 0-9692120-0-3. ^ "Shaw cancels purchase of 3 CTV stations". The Star. Toronto. July 1, 2009. ^ "George Agnew Reid". Museum London. Archived from the original on 2007-09-27. Retrieved 2007-05-03. 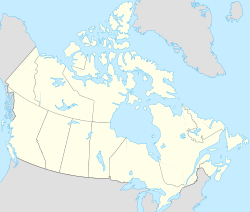 Wikimedia Commons has media related to Wingham, Ontario. This page was last edited on 26 March 2019, at 11:02 (UTC).